Real estate attorney Leo B. Siegel discusses the eviction process and when a trial is necessary to evict a tenant. The tenant could be anyone, including a sister living in an inherited house. Every situation is unique. One thing is certain, the judges must follow the laws pertaining to removing tenants from a property. Is a trial necessary to evict a tenant in California? If the tenant does file a written response to the unlawful detainer summons and complaint within the required 5 days, then a trial is necessary to remove the tenant from the property. The owner or his or her attorney applies to the court for a trial date. The trial date is assigned during the next, oh, probably 10 days. The trial will be 10 days after that, 10 to 15 days after that. The court must set the trial date within 20 days after the request is filed, by law. You show up for the trial. The trials usually take 15-20 minutes. More often than not, unlawful detainer cases settle in the hallway before the trial begins. The settlement usually involves giving the tenant additional time to vacate the property on a date certain. There are advantages to settling for both parties. The advantages to the owner are that they get possession back on a date certain without having to take the risk of going to trial. Also, if the settlement agreement is properly prepared, the tenant will be waiving any rights to what is called a stay of execution which would extend their stay in the property after the date of the trial. The advantages to the tenant, the occupant, are that the unlawful detainer case, the eviction case, is dismissed when they vacate the property if they perform in a timely fashion. Unlawful detainer cases are masked from public view when they are first filed. That is, no future landlords or subsequent landlords would even know that the tenant was being subjected to eviction. Because, if they did know that, they would not be very excited about renting property to someone who is already getting evicted, they are a bad risk. If the tenant settles the unlawful detainer case, usually in the hallway before the trial starts, or before if it settles the unlawful detainer case stays masked. No future landlord would ever see that tenant had been subject to eviction. If the tenant does not settle and goes through trial and gets a judgment for possession entered against them the masking order is lifted. Future landlords would then have access to public records that show that that person has been evicted before. When I am hired as the real estate agent to list homes for sale, and a tenant is living in the home, depending on the circumstances, it may be my recommendation to have the tenants moved out before the home gets listed with real estate MLS listings. It the owner, administrator, executor, or successor trustee does not have experience in managing real estate or understand the eviction process, I will always recommend they hire an attorney. A do it yourself eviction notice is readily available on the Internet. Absent an understanding of the eviction laws proper notice may not be given to the tenant. We need to understand why the tenant is being evicted and if the legal requirements are met. 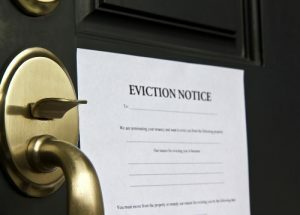 That will determine if a 3-day eviction notice form is used or a 30-day notice to vacate is used. The purpose of courts – what trial courts deal with. The purpose of a trial. 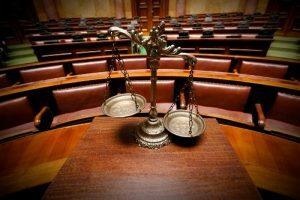 Parties in a civil trial – are they represented by an attorney. The steps of a trial process. Hiring professional help comes with a price. In most cases, it makes sense to hire people to help us with things we have no knowledge or experience with. About: Leo B. Siegel is a real estate attorney with 34 years of experience handling landlord/tenant issues, eviction, co-ownership disputes, contract disputes, fraud, title issues, easements, and boundary disputes and has extensive trial experience. Leo may be contacted at (831) 768-9110 or https://www.legalsiegel.org.